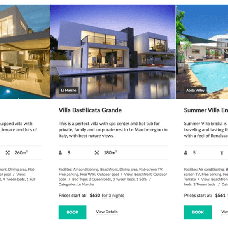 We offer to integrate the ready WordPress theme 64831 "Villagio Property Booking" into your real estate website. The theme is responsive and will fit any device. It is a perfect choice if you are targeting a rentals market. With the Villagio design theme, you can display villas, apartments, and guest houses in a most favourable light.